Hurry while sale is on! 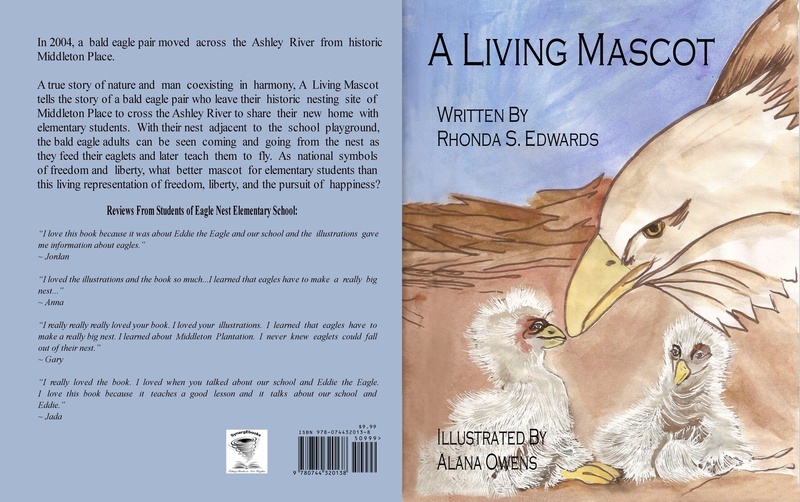 A Living Mascot, a true story of an elementary school coexisiting with a family of bald eagles. One of the Carolina Cousins earns his Eagle Scout! 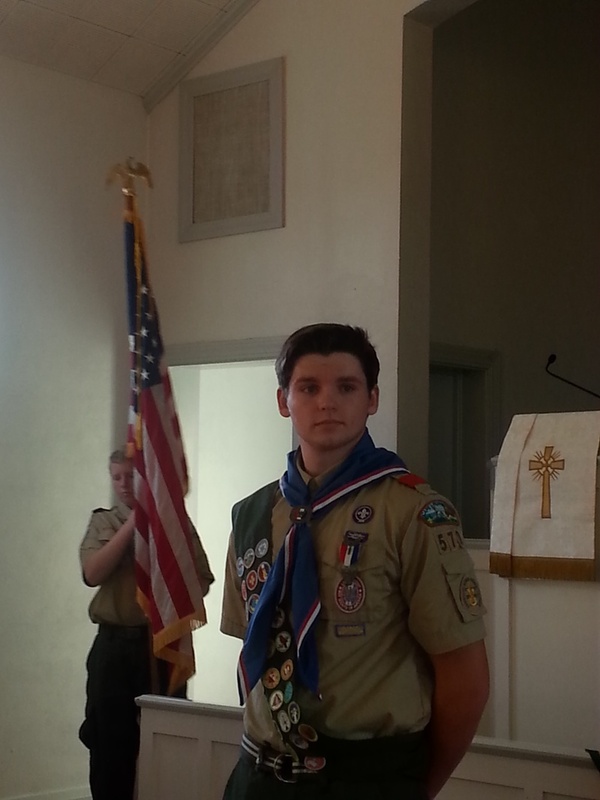 My nephew, Trevor Tyree, who is also one of the Carolina Cousins in The Secret of Atalaya and Pirates at Pawleys attending the ceremony where he was honored for becoming an Eagle Scout. Celebrating the 4th of July in the area? Drop by and pick up a copy of A Living Mascot to see how the Middletons of Middleton Plantation played a very important role in the history of our government. It is never too soon to read to your children! Thanks Deb, for sharing Oscar with me! Thanks for an Amazing Year 4E! As a project for a graduate class my students and I formed a club called Eaglet Rescuers! Read what they accomplished. The Lowcountry Open Land Trust raised the $3.6 million needed to purchase 17 acres to expand Angel Oak Park, but an apartment community may still be built on an adjacent 17 acres. 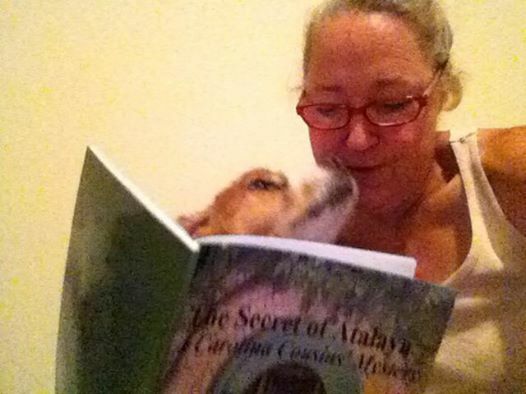 Shop with Books by Rhonda for the environmentally concerned readers in your family! 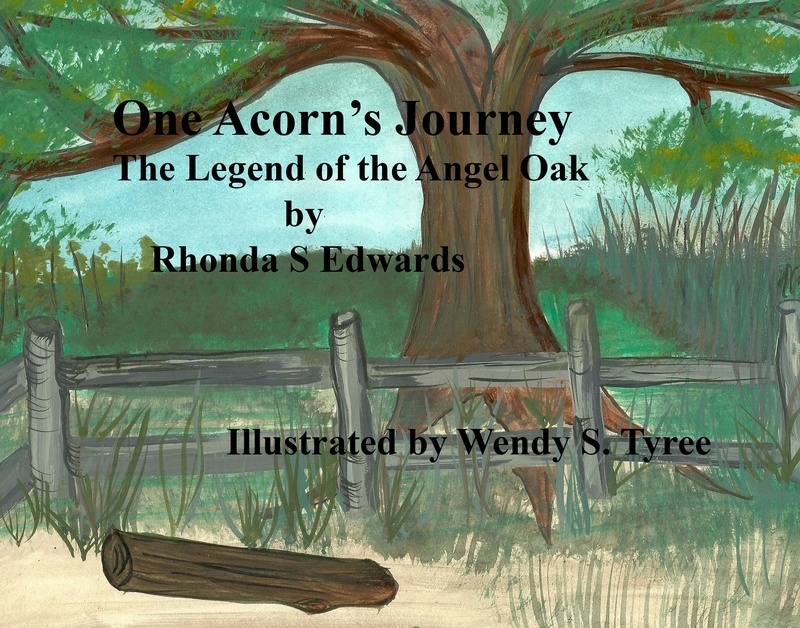 I just held and read the first print copy of my e-book, One Acorn's Journey the Legend of the Angel Oak! A link where you can purchase as soon as I have it from my publisher. New Cover for One Acorn's Journey? I really like the looks of this as a print cover! One Acorn's Journey the Legend of the Angel Oak in paperback!